Together with his partner Nel, Ed photographs lightphenomenons for many years now. After the phenomenon showed it selves as rather simple orbs on photos, the images are getting more complex, so it seems to be a developing, an unfolding phenomenon. A phenomenon, becoming a major part of both their lives. As a professional photographer, more as 30 years right now, I daily saw a lot of strange “phenomenons” on photographs, I, however could explain on a technical way. During the production process starting with manufacturing the roll of film, until the end result, the photo in your album, a lot can happen that might deliver you the most splendid light phenomenons (see my previous article on this website). Besides that, during photographing a lot of things can happen that shows remarkable light appearances. One could think about reflections in the lens system. Light leakage in the camera, reflections of glossy objects and so on. 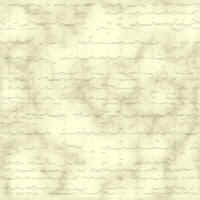 Although my strong wish to explain these appearances on a rational way, I had to face some couldn’t. Although from childhood on, interested in phenomenons and metaphysical cases, I couldn’t imagine, I had become in contact with an extraordinary phenomenon. It took a lot of years, before I might experience the phenomenon in its full size. Initially I got confronted with the phenomenon on photos, made by my partner Nel. Although searching hard for a technical explanation, I couldn’t find the answers. Because we had to deal with a rather unknown phenomenon, it was hard to share it with others. Surfing the Internet however told us, a lot more people were busy with the same phenomenon on an international level, and do I have contact with them on a daily base, for years now. We exchange pictures, theories and other interesting facts concerning light orbs. Although the phenomenon seems to be rather young, there are several reports, also centuries ago people had knowledge about orbs. Especially in sagas and legends regularly is told about light appearances like will-o’-the-wisps and “white ladies” Not only in our country, but all over the world. 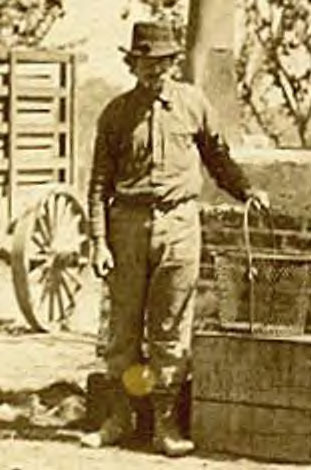 The first photo as far as we know now, showing an orb, was taken in 1896. Photography has just started at that moment, and the picture was taken with a “camera obscura” (transl: dark room) the most primitive kind of camera. A kind of box with a small hole in it, without a lens, and a piece of film on the opposite side. Later on, cameras were build with lenses to get a much sharper picture. Although the orbs initially were round, unexplainable shapes in photos, nowadays they are captured in a great variety of patterns. Inside the round orbs there mostly is to be seen a specific structure, regularly build of some concentric rings, as well as a more radial structure, and everything in between that. It’s remarkable as well; certain orbs photographers have their own accompanying orbs. Regularly orbs appear on their photos, having the same colour, or shape, regardless what camera was used, and under what weather conditions or whatever conditions that might explain it. These accompanying orbs also are captured on different locations, and show themselves for instance on vacations. Even thousands of miles from home. These orbs, obviously have the capability to travel with you, or are capable to neglect time and space. A quite other light phenomenon is that of the “shooters”. They are to be recognized by their long shapes. Looking like a tail of a light orb. The measure of them can vary from rather short to extreme long, and very often are very colourful. Besides in a lot of colours, they also can appear in just one single colour. They mostly are captured “shooting” up high, but also can go horizontally. 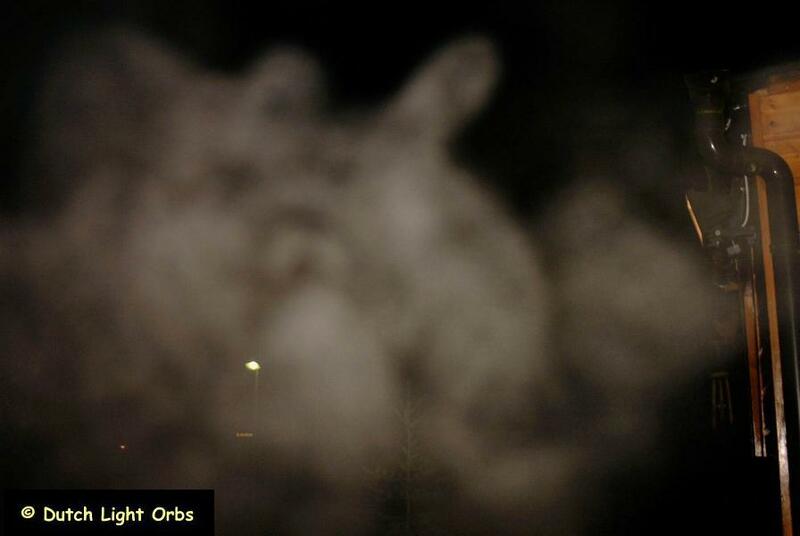 Another Orbs manifestation are the misty ones, having shapes looking like mist or ectoplasm. There are some theories orbs are build out of such a kind of mist, and also orbs can untie themselves from orb to mist. Inside these plasma shapes, very often very nice patterns are to be seen, looking like humans, animals or plants. For that reason one could guess there might be at least some connection with the realms of the Devas, like gnomes, elves, tree spirits and other nature beings. The light phenomenon seems to be not static, but seems to be an ever-changing phenomenon. Remarkable as well is, those changes seem to take place all over the globe at the same time. There has been a period, we internationally almost all, got those blue orbs, followed up by green ones. We also had that period we captured heart shaped ones. It obviously is all guided by the source orbs are coming from, whatever that may be. It seems the phenomenon is developing it self. Right now, while writing this article, we just got some horizontal and vertical stripe like phenomenons. What causes the orbs, and where do they come from? I asked that question a lot of times myself, and regularly repeat it. In America there are several groups that have the opinion orbs are ghosts of people or animals that have passed. They very often, or actually only photograph on graveyards, and have very strong protocols. Just by means of that protocols, they don’t explore the unseen and unknown sections of the orb phenomenon, and don’t try to figure out, if orbs might behave in another way, as we think they do. The group I’m member of approaches the phenomenon open minded, and because of that, regularly with very wonderful results. A rather remarkable fact is, if I go out orbing, they mostly can be captured in a great amount of them. But, those photos I make in my profession as photographer, until now never delivered me one orb, although being photographer for over 30 years now! They obviously know, they better stay out of photo’s I take of customers. As you can imagine, I’m highly intrigued why they don’t disturb me in my job. I also print a lot of photos of customers, and don’t see any orbs. But, if I see them, they are mostly to be found on pics taken at happy events, like concerts, parties stage plays and so on. They often are to be seen on photos in which children or animals are involved. Orbs obviously love joyful and happy situations, and are attracted by them. During our holidays in the summer of 2002, we stayed on the Hungarian Puzta. On that property there was a scale model of the Great Pyramid of Gizeh. Exactly build in the North/south direction. Of course we photographed there as well, and numerous orbs appeared on our photos as well. Dowsing research afterwards, told us there was a very powerful leycentre inside of that pyramid. Not exactly in the middle but a bit outside of the centre. Previous to this, we also recorded remarkable sounds in crop circles, so we tried to record some sounds in this pyramid as well. We where very astonished, to receive those sounds again. It started on a low volume, but that volume got louder and louder, to stop at once. We recorded 2,5 hours, and after cutting out the parts without any sounds, we still got 80 minutes of orbs sounds. (Or whatever it might be. Friends of ours, living in the USA, once drove on a dark road without streetlights, during heavy rainfall. This couple often drives to that certain place to photograph orbs, but passed that favourite lake they are used to photograph at, because of the bad weather. Just not seeing it. This couple also photograph during rainfall, and other conditions, for know orbs are attracted by rain, snow and hail as well. As they drove too far, they wanted to turn the car, but that was impossible on that part of the road, so they had to drive another 6 miles, to turn the car and get back home. Driving in the dark and taking photos, one might assume to get stripes on the images, for the car is driving. But, they got some nice orbs as well however. They obviously travelled with them. The orbs were moving from the left to the right in front of their car. After a short time, the headlights of the car went out, and our friends decided to turn the car anyway. After they turned around their car, the headlights did function again! Dowsers as our friends are, they dowsed what happened, and got “water on the road”. Because of the heavy rain fall the road had been overflown on a certain distance, and the road had been damaged some miles away, as came out the next day. The orbs obviously warned them!!!! Of course it’s the human nature to try and find explanations for phenomenons, and some of them are going rather far, especially sceptics. I myself have also been searching for the answer for unexplainable cases. A scientific point of view is, there is an explanation for everything, but we do just know a very tiny part of it. We think we know how our universe works and acts, but in fact do know about nothing. Our knowledge doesn’t reach further as, for instance, our Hubble telescope tells us. Maybe crop circles, UFO’s and orbs are explainable, but I guess the explanations might to be found in other dimensions as we are living in the 3 th one right now.